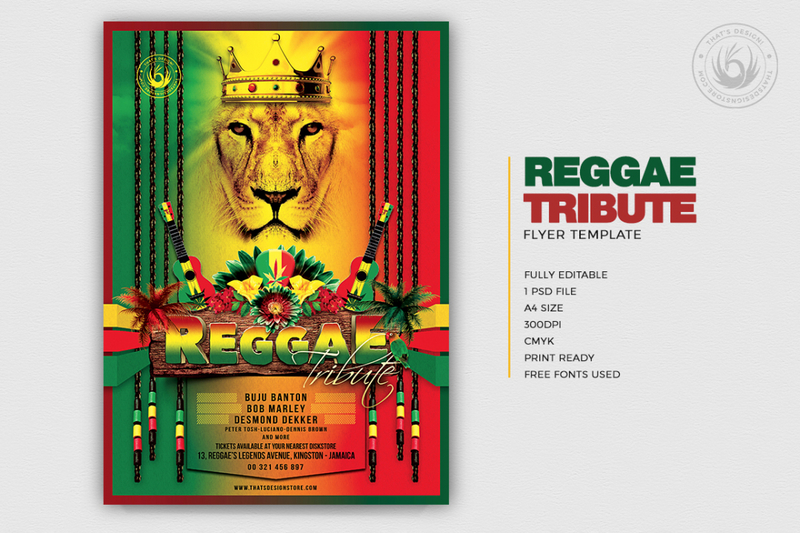 Title: Double click on the Smart Object “Replace Title here, type your title in the newly opened window and save. Take advantage of this Reggae Tribute Flyer Template, specially designed to promote a rasta concert, reggae tribute. 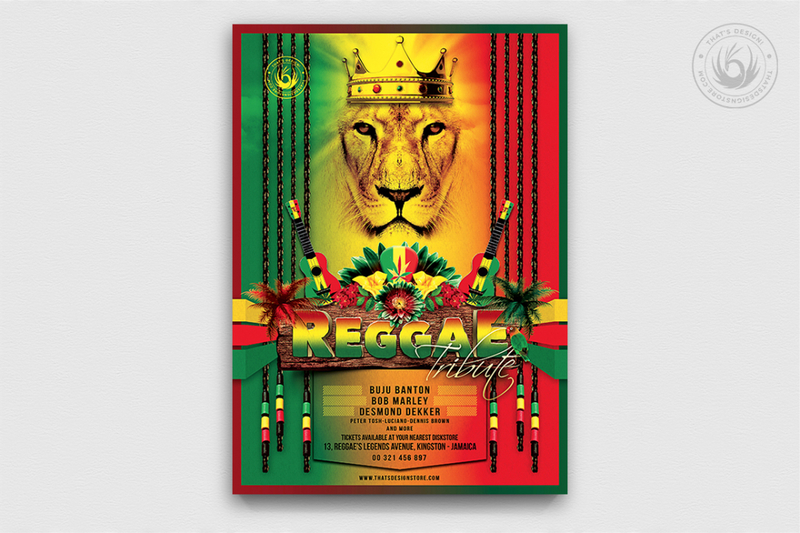 Customize your Rasta Photoshop psd flyer template easily. Also, follow us on Facebook https://www.facebook.com/thatsdesign to discover the novelties as we add fresh flyer templates every day!. We’ ll be happy to help you. (Please have in mind that we may have a different Time Zone. But be sure we’ll answer any question as soon as seen. We always do). Have a nice day!